Happy, happy Tuesday Clemson Girls! Wow. If you were there, you know there are barely any words to describe the atmosphere and the feeling of witnessing such a great game of football. Either way you look at it, both teams put on a great show that kept us Clemson fans on the edge of our seats the entire game. But thankfully...phew...the Tigers pulled out a win over Georgia, with 38 points to Georgia's close 35. For this game, we did something a little different than we normally do with gameday photos. 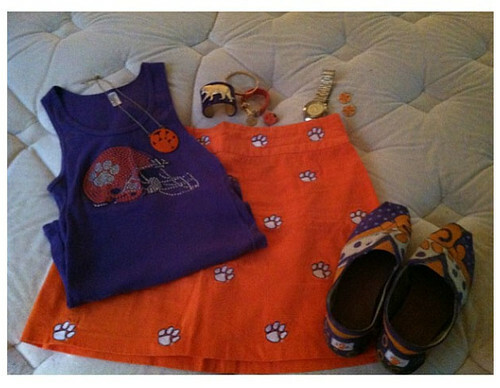 We asked you Clemson Girls to share with us your gameday style for the game. You ladies certainly know how to dress for gameday - we received gameday style submissions through Instagram, Facebook, email and even Twitter! We received Clemson gameday look styles for you, your sweet little Clemson fans, and even your pets! 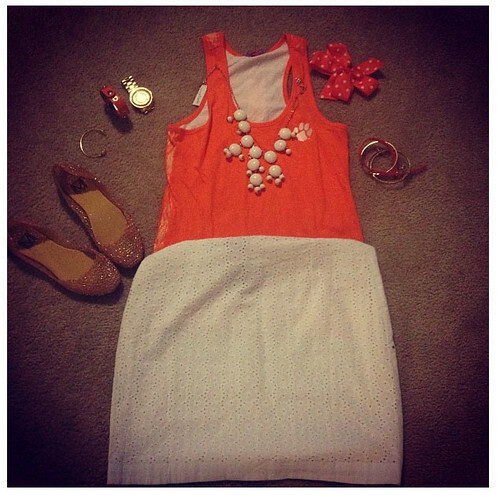 We picked our favorite #clemsongirlstyle to receive a Clemson Girl prize pack. And...we couldn't pick just one... all of the outfits were great! 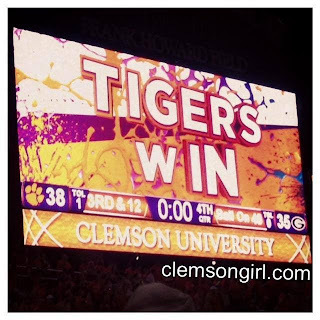 We were able to narrow it down to two favorites who will both win a Clemson Girl prize pack. We will be contacting these lovely ladies and sending them their prizes! Check out all of the other #clemsongirlstyle submissions we received and you will see how difficult it was for us to narrow it down to only two winners, and you will see that Clemson Girls are certainly the MOST fashionable ladies during football season. Thanks to all of the Clemson Girls who submitted their #clemsongirlstyle photos to us this week!